Welcome to Auto Dismantlers Ltd.
Auto Dismantlers Ltd. was established over 35 years ago by Martin McCarthy. 15 years later he was joined by his son John McCarthy and today they run, own and operate Auto Dismantlers Ltd. We are a family business based in Co Cork serving the needs of our local community and the surrounding areas. With over 35 years of experience, Auto Dismantlers Ltd. is ideally placed to offer our customers a level of service that is second to none. We have amassed a reputation for our range of products as well as the quality of our customer service. Auto Dismantlers Ltd. accept payments via Paypal, Mastercard and Visa. 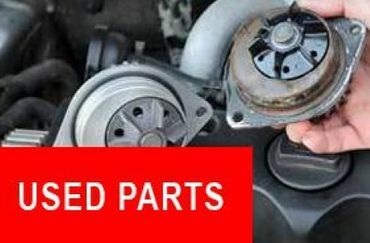 Do you require a used part for your vehicle? Then get in touch with Auto Dismantlers Ltd. today. Contact Auto Dismantlers Ltd. to learn more about our comprehensive range of quality used parts for cars, vans and 4x4’s across all makes and models. For our full and up to date list of makes and models available, check out our stock on Part Finder. 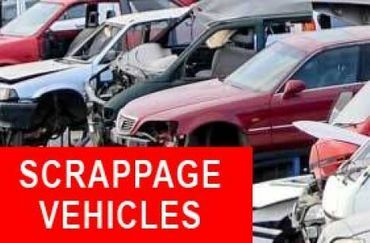 Do you have a crashed or Scrappage vehicle sitting around that you need to dispose of? At Auto Dismantlers Ltd. we offer competitive quotes for end of life vehicles. Contact one of our team via phone or email today for more information. 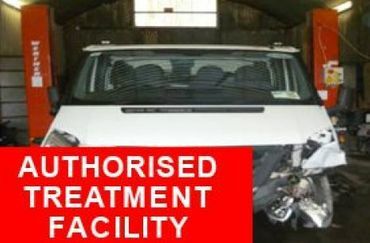 Tuto Dismantlers Ltd. is a fully licenced and Authorised Treatment Facility for the legal and compliant disposal of End of Life Vehicles. We will provide you with a legal copy of your certificate of destruction as well as all other required documentation, leaving you rest assured in the knowledge that your vehicle has been taken off the road in compliance with the Irish governments standards. Do you need more information about our scrappage services? Then get in contact with Auto Dismantlers Ltd. today.